(818) 508–7272 Call Us Today! Click on the links below to view and print our new patient forms. Please bring the completed forms with you to your appointment. This will greatly speed up your first visit with us! Any Questions? We're Only a Call Away! Call our office at (818) 508–7272 for any questions regarding appointments, insurance, or financing; or simply fill out the form below. Request an Appointment Why wait? Schedule now. 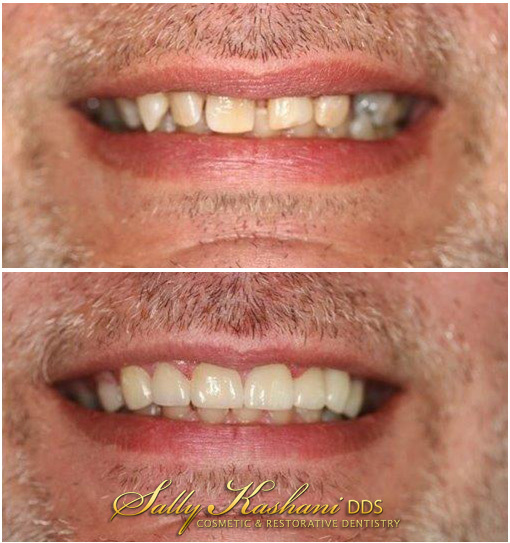 Dr. Sally Kashani is known as Interior Designer of the mouth. Hollywood Dentist offers Cosmetic Dentistry, Tooth Implants, Cosmetic Smile Makeovers, Veneers, Perio Disease Treatments, Sedation Dentistry and is your General Dentist in Toluca Lake, CA near Hollywood, North Hollywood, Burbank, Studio City and Sherman Oaks.